represent lack of variety, lifelessness and boredom. 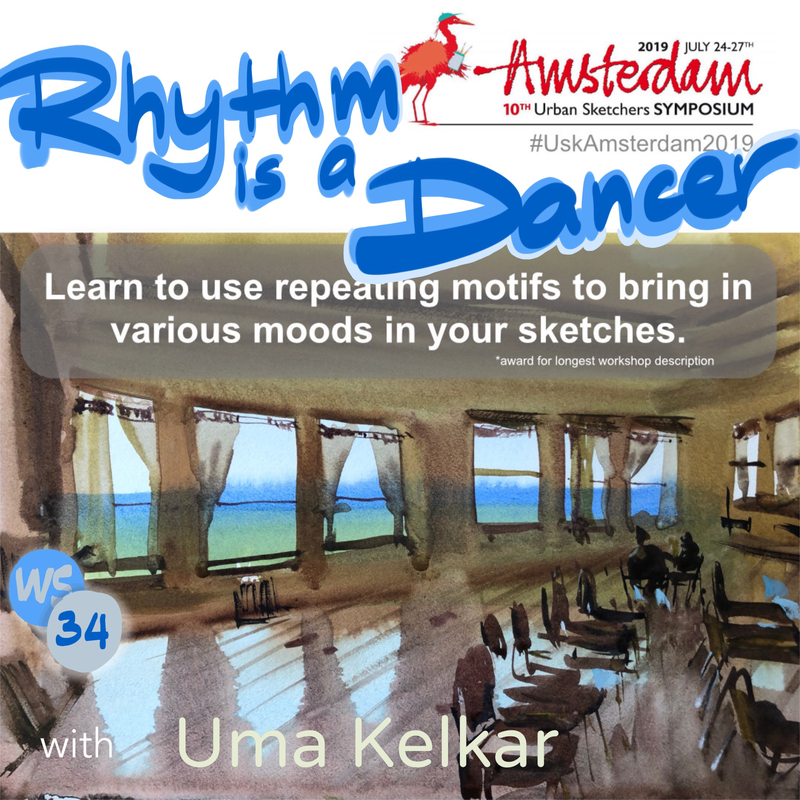 Participants in this workshop will first verbalize the feel they want to put in their sketches, then, come up with strategies to insert the emotion that they wish to convey using the techniques Uma will bring. We will meet in downtown San Jose and be in a workshop that will require participants to settle down on a street in close proximity of each other. Class will be fast paced and will need intermediate drawing skills. Since it’s open to your tools, bring a tool that you are most masterful with. Artists who will do only line drawing or those who will do exercises in monochrome e.g. single pigment ink, please be aware of concepts of harmony, balance, unity, gradation and ways to do this in your medium of choice. This class requires being emotionally open in a group setting. We will talk about feelings and what we want to do with our pieces. It’s a story creating class not a motor skill building class and therefore mental exhaustion is expected. Mental exhaustion with benefits. Other general crafty things I do!